Our board has established three (2) committees: (a) the Audit Committeeand (b) the Nomination and Remuneration Committee. The Audit Committee comprises of U AungZawOo, U KyawZawAung, and U Phone PhoneNaing. The Chairman of the Audit Committee is U AungZawOo. Our Audit Committee will assist our Board in discharging its responsibility to safeguard our asset, maintain adequate accounting records and develop and maintain effective systems of internal control, with the overall objective of ensuring that our management creates and maintains an effective control environment in our Company. Our Audit Committee will provide a channel of communication between our Board, our management and our external auditors on matter relating to audit. Our Nomination and Remuneration Committee comprises of U Wing Aung, U Sit Lwin, U ThuraneAung and DawKhineThazinSoe. The Chairman of the Nomination and Remuneration Committee is U Win Aung. Our Nomination and Remuneration Committee is responsible for (a) re-nomination of our Directors having regard to a Director’s contribution and performance, (b) determining annually whether or not a Director is independent, and (c) deciding whether or not a Directors is able to and has been adequately carrying out his duties as a Director. 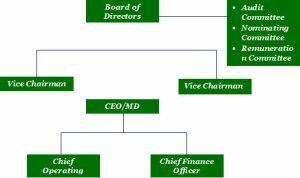 The committee also recommends to our Board a framework of remuneration for our Directors and key executives, and determining specific remuneration packages for each Director and key executives. The recommendations of our remuneration, including but not limited to Directors’ fees, salaries, allowances, bonuses, options and benefits in kind shall be covered by our Remuneration Committee. Each member of the Remuneration Committee is required to abstain from voting on any resolutions and making recommendations and/or participating in any deliberations of the Remuneration Committee in respect of his remuneration package. The Committee decides how the Board’s performance is to be evaluated and proposes objective performance criteria, subject to the approval of the Board, which address how the Board has enhanced long term Shareholder’s value. The Board intends to implement a process to be carried out by the Nominating Committee for assessing the effectiveness of the Board as a whole and for assessing the contribution by each individual Director to the effectiveness of the Board. Each member of the Nominating Committee is required to abstain from voting on any resolutions and making any recommendations and/or participating in any deliberations of the Nominating Committee in respect of the assessment of his performance or re-nomination as Director.